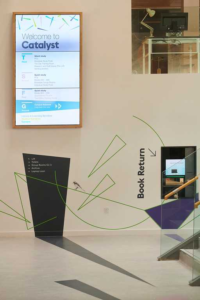 Welcome to the first of our ‘Spotlight on…’ blog series! As part of #LoveYourLibrary month, we will be bringing light to some of Catalyst’s lesser-known fantastic features. Catalyst is brilliant for so many reasons. 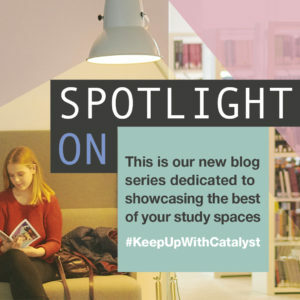 From finding academic resources and facilitating group work, to simply being an inspiring and positive study space, there is an abundance of services designed to help you – including some you may not know about! Here, we collate some of the features that tend to spark students’ curiosities. 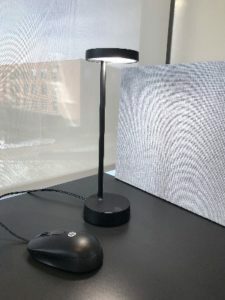 You may have seen the black study lamps in certain study spaces around Catalyst, but there has been some confusion as to how you turn them on! To use these, you just touch the base of the lamp, tapping more than once to dim the brightness. These study lamps also have a USB port which can be used to charge electronic devices (you need to bring the correct cable). 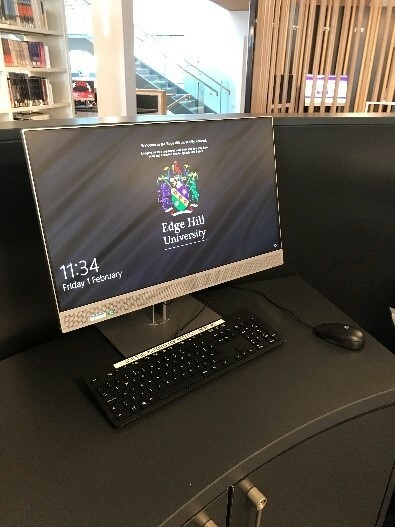 The library catalogue machines are computers which allow you to search for a book or journal article that is available in Catalyst. They are ready to be used which saves you having to find a computer and log on! They are located on the first and second floors next to the printing hubs. 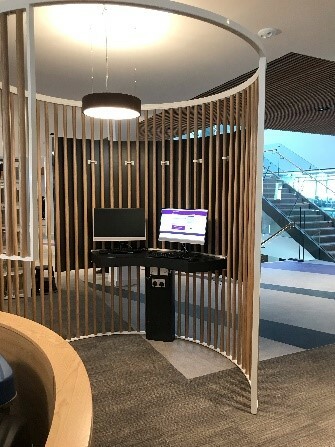 There are computers located within the printing hubs that can be logged onto if you just have something to print. 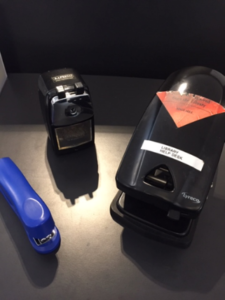 There is also stationery available to use which can be located within the printing hubs. 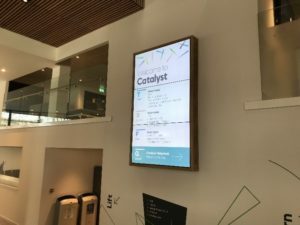 The video wall is located on the Catalyst ground floor to the right of the coffee shop. This has a rotational display which informs students of useful information, such as upcoming workshops and the building layout. 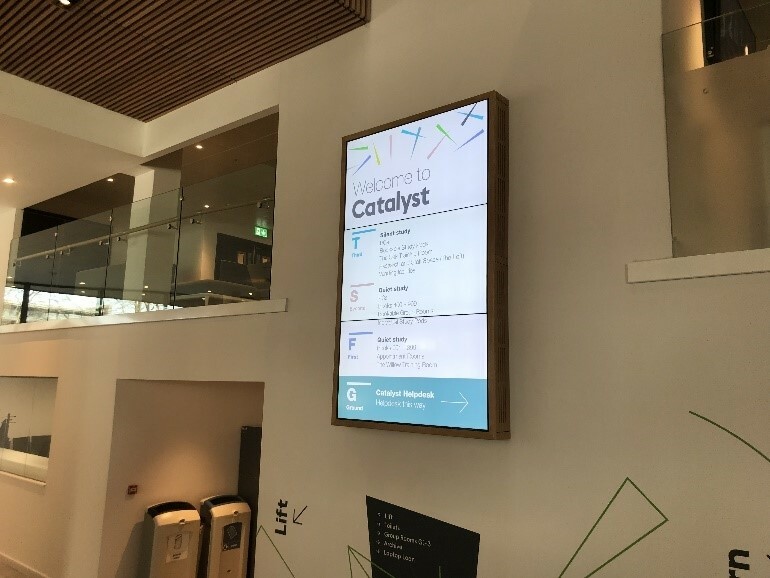 Have you spotted any other curious features in Catalyst? 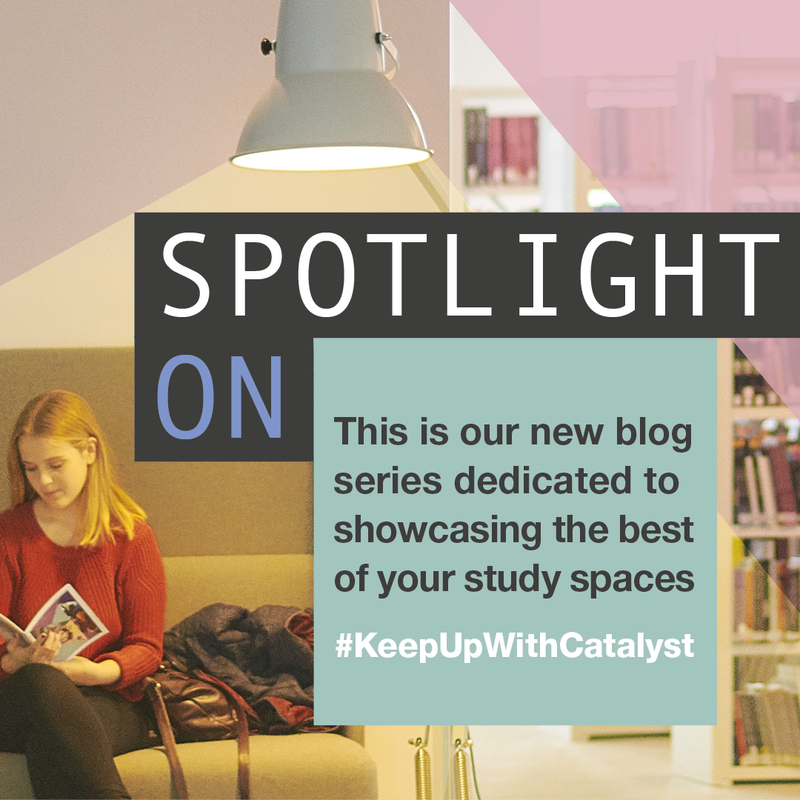 Tweet us at @EHULearnService using #KeepUpWithCatalyst so we can spread the word! This entry was posted in Learning Services by Maisie Prior. Bookmark the permalink.